MRK River Only was adopted by Tracy, Brandon and Cadin of West Chester. New home, new family member. 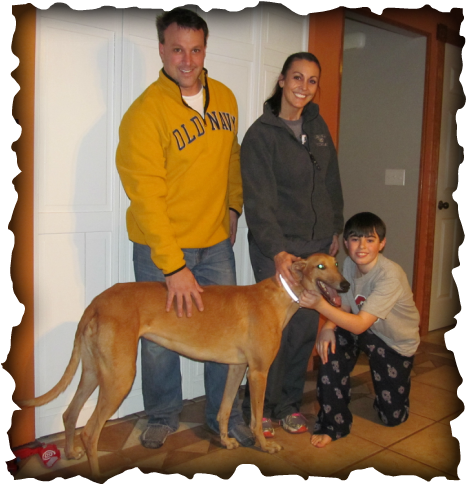 This family was so excited to adopt a greyhound, Cadin was especially excited when River came into the house. Her tail was wagging when she met the family and I know she'll be very happy in this loving home. We hope to see a lot of River and her new family at this year's events.